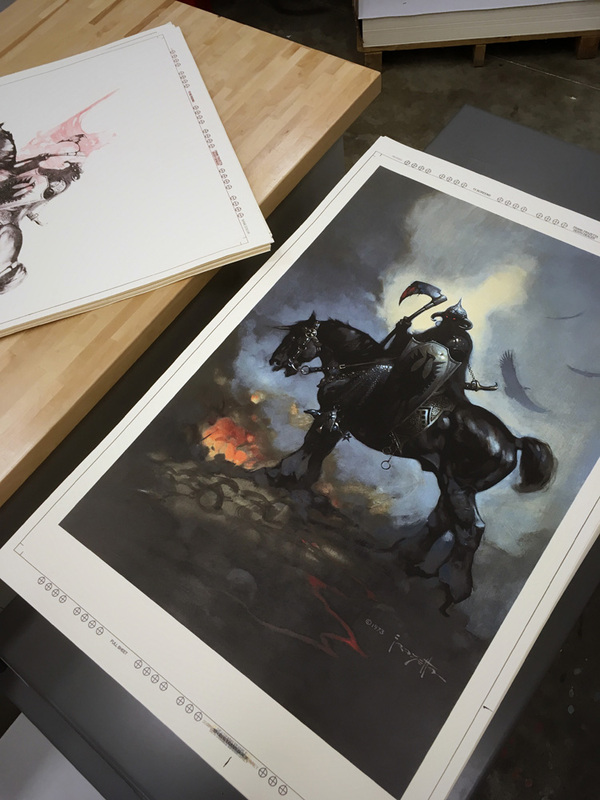 FRAZETTA: Worlds- Death Dealer and Silver Warrior printed! Shipping soon! 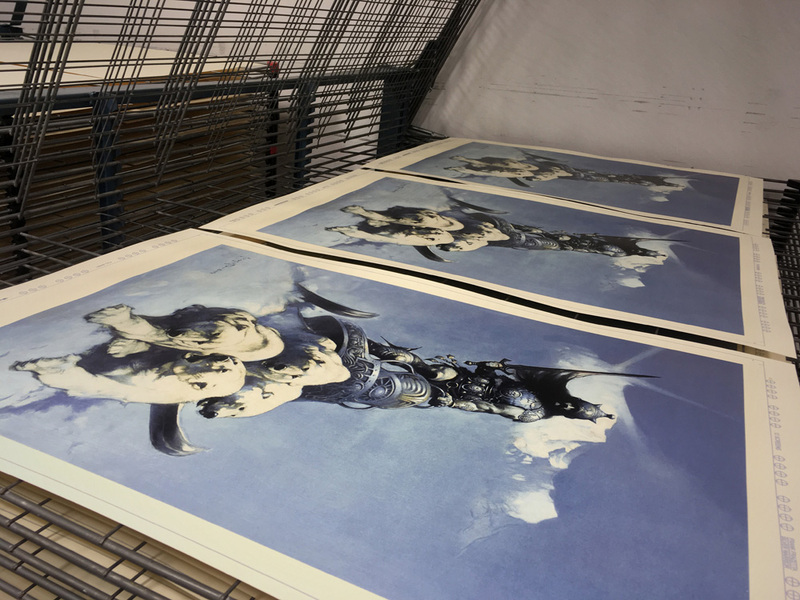 Lady Lazarus has completed printing on both the Death Dealer AND the Silver Warrior prints, and we are expected to have them IN HAND this Saturday! Pick up some of our VERY LIMITED copies HERE! The process took a little longer than expected, as we had to tweak the file, add a couple extra screens in there to really make these the most LUSH presentation of these images possible! Above is pictured Death Dealer, before trimming. Above is The Silver Warrior! Isaac from Lady Lazarus is driving these up from Houston to our shop in Austin this Saturday, and we’ll start embossing and numbering the prints next week! Did you miss out on the Kickstarter project? You can now order these prints (and much more) on the Nakatomi Store page HERE. Supply is VERY LIMITED as the majority of all these editions are going to Kickstarter backers! So- what does this mean for Kickstarter Backers? If your pledge was for JUST the Death Dealer or JUST the Silver Warrior prints (or Death Dealer plus Silver Warrior) your print rewards will start shipping in the next couple weeks. If your pledge was for these prints PLUS other prints- we’ll have to wait until all the other prints are in hand, and they will ship bundled together. Thank you all for your patience! March was our original stated shipping month, and it looks like we’ll be hitting it for the most part! Very excited to get these in hand, and then in YOUR hands! ← RogueNASA pins and patches return for Gun Control NOW!